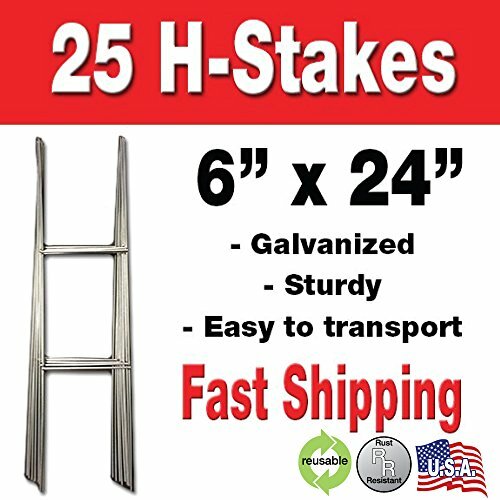 Stakes and made of sturdy metal. Simply step them into the ground and attach your signs. Works well with corrugated signs (not included)! Perfect for adding some visibility to the lawn or yard outside of your business!